Office Hours: 8:00 a.m. - 3:00 p.m.
Another year has come to an end. Where did the time go? Thanks for all you do to make the Cambridge community one that I am proud to call my own. I appreciate the many gifts, cards, and well-wishes. It’s always hard to say good-bye, especially to our Grade 7 students who are moving on to the adventure of high school or to staff members who are off to travel down new roads. But yesterday, it was particularly more difficult to say good-bye because of the news that I must share with you today. I have been appointed as the District Principal for Communicating Student Learning as of August 1 and will therefore not be returning as Cambridge Principal in September. 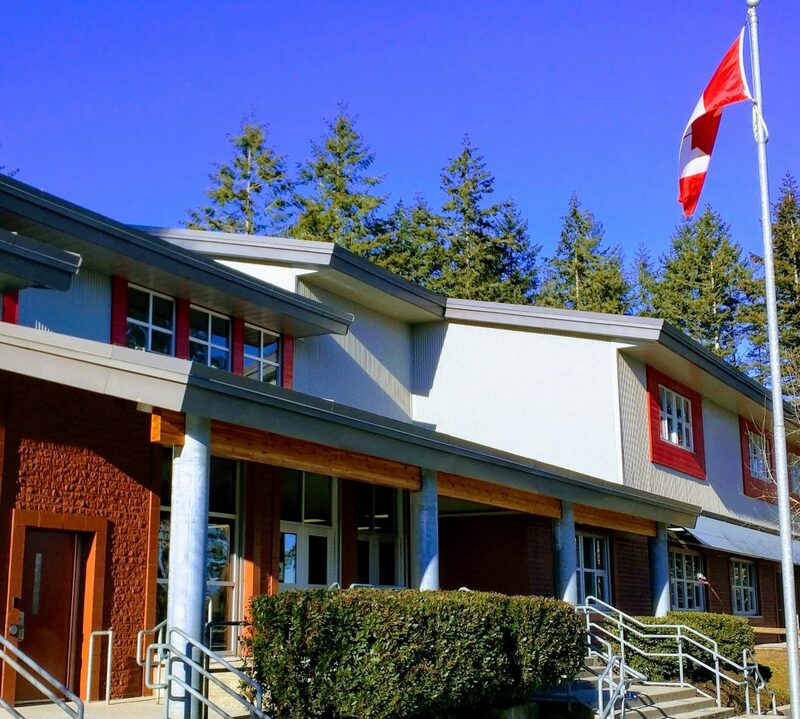 The appointment was made official by the Surrey Schools Board of Education early last evening and so I was unable to share this information earlier and say a proper good-bye. I am sorry that I could not have shared this news with you before now. It would certainly not have been any easier. Please know that I love Cambridge and I completely intended to enjoy the next 3 or 4 years here. Cambridge has been a gift to me! 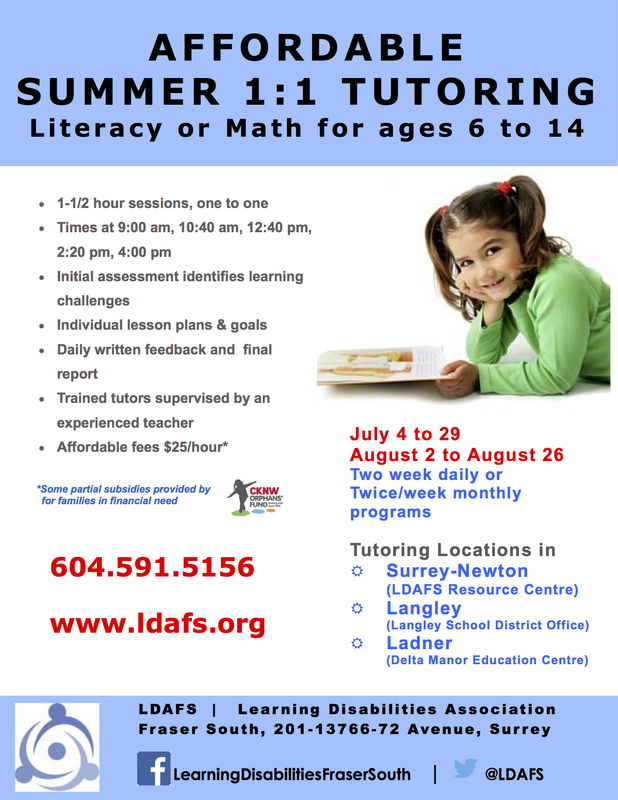 However, ongoing growth in Surrey Schools and a resulting restructuring within the organization have resulted in new positions needing to be filled. As school leaders, it is the expectation that we step into these roles to serve the District and of course, your children. Cambridge is not one person. Cambridge is special because of our students, our staff, and you. I am proud of the path that Ms. Vogstad, our staff, and I have set our school on and I know that with continued hard work and a commitment to innovation, the learning at Cambridge will continue to be special and attract attention. In my new role, I will have the responsibility to work with others to bring clarity to how we collect and share information regarding student learning. I look forward to visiting many schools, but I particularly look forward to visiting Cambridge often … perhaps even helping you across the crosswalk before or after school. I am currently working with the District to offer input regarding your new Principal. I do not have information regarding this appointment yet, but I will share news when it becomes available. I am sorry that our time together was so short, but it was a wonderful time for me. You and the Cambridge community will always have a truly special place in my heart. Hanging out with super Grade 7 readers. Happy Diwali! Thank you Mrs. Ranu for the treats! A reader makes a breakthrough and wants to share it with the Principal! Thank you Anthony for keeping us safe! Your support this year has been wonderful as we’ve explored different ways to communicate student learning with you. Your feedback regarding this ongoing process is needed and greatly appreciated. Please take a few moments to reflect on your experience and complete the following short survey. Thank you! Orange Shirt Day is a legacy of the St. Joseph Mission residential school commemoration event held in Williams Lake in the spring of 2013. It grew out of Phyllis’s account of losing her pretty new orange shirt on her first day of school at the Mission, and it has become an opportunity to keep the discussion on all aspects of residential schools happening annually. The date was chosen because children are back in school and teachers have time to plan, and because it is an opportunity to set the stage for anti-racism and anti-bullying policies for the year. Orange Shirt Day is also an opportunity for First Nations, local governments, schools and community agencies to come together in the spirit of reconciliation and hope for generations of children to come. June is always a time we welcome new friends to the Cambridge community, and say good-bye (or see you soon) to other friends. Please find information below regarding important staffing changes for the 2016/17 year. Heather Manuel (0.8) and Julina Benjamin (0.2) – Kindergarten. Ms. Manuel comes to us from Bonaccord and Ms. Benjamin is returning from maternity leave. We thank you all for the many wonderful contributions you have made to the Cambridge community! Friday was one of those days of conflicting emotions. 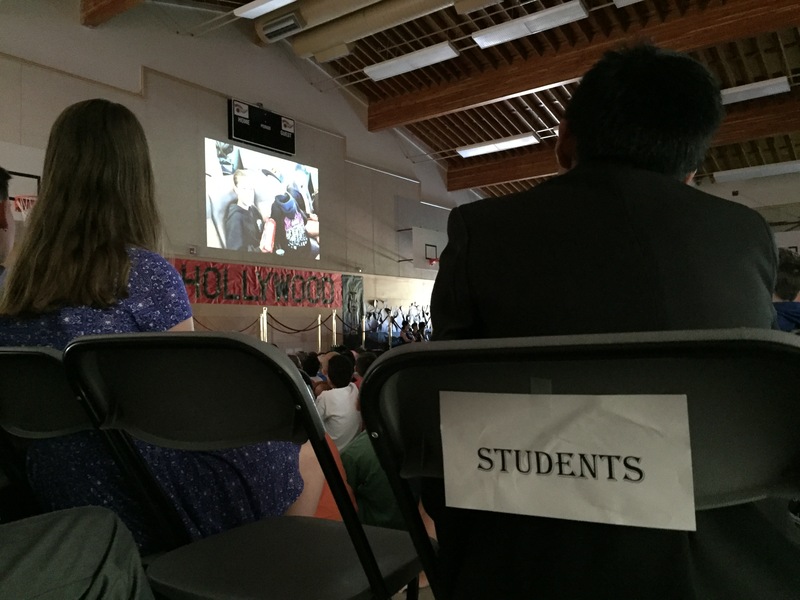 I felt it … and I know many people in the gym during our Grade 7 Celebration felt it. Friday was a time to look back and celebrate how far our students have come. It was also a time for parents and families to reflect on how quickly the time has passed. There is excitement about looking forward and wondering what adventures lay ahead while at the same time, sadness and apprehensiveness about leaving the comfort of what is familiar and safe to us. In many ways, Friday was really about controlling your mindset and deciding how you choose to look at things. The status quo represents a safe haven for most. You know what you’ve done, you know what you’re doing, you know what comes next. There’s comfort in that. That’s why many people resist change and sometimes never find out what adventures or rewards could lay ahead for them. I also know that change is most definitely not an easy thing. If someone were to take a risk and make significant change in their life without feeling any sense of excitement, anxiousness, or reflection, it would make me wonder about them. Change is hard! If I have learned anything in my life, it’s that challenges are constantly presented to you in life. How you decide to face these challenges helps you to define yourself. Growing up, I constantly questioned myself. I was afraid to take a risk and put myself out there because I worried about failing and what others would think of me. Some of this thinking still creeps into my thoughts now, but I’ve gotten to the point where what I think of myself is much more important than what others think of me. When I look into the mirror, I have to be happy with what I see both as learner and a person. So do you! Instead of fearing failure, now I worry that if I don’t risk-take and embrace change, I won’t be learning. And learning, I have discovered, is the only way to adapt and remain relevant to those who need us. I heard many of our Grade 7 students share their favourite quotes on Friday. I heard quotes about not being able to find new oceans if you are afraid to leave the shore, or not being able to start a new chapter unless you turn the page. There is much that children learn from the wisdom of their parents. My dad immigrated from Italy to Canada by himself in 1960, with little to his name and not being able to speak English. Talk about risk! Talk about helping others understand the possibilities of rewards from taking risks. My dad’s journey helps me be courageous in the face of change. But, there is also much adults can and should learn from children. Children are not afraid to be curious, ask questions, and take risks. Children teach us that if we fail, we learn and just need to try again. There is much children can teach us if we are willing to be open to learning from them. To our Grade 7 students, best wishes as you leave the shore to find new oceans and turn the page to start a new chapter. And thank you for giving us the courage to embrace change…even if we’re a little afraid! How do you look at change? 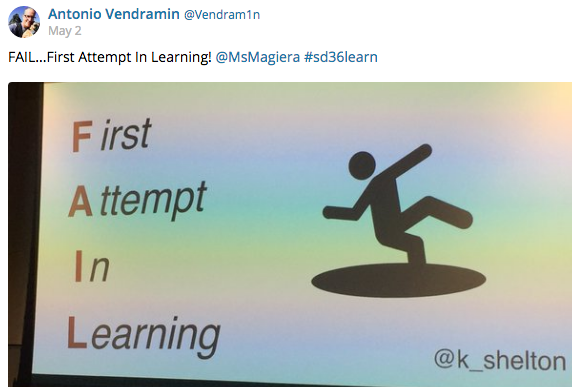 What mindset do you have towards change…risk…failure? What changes lay ahead for you and what will you do about these changes? Grade 7 teachers rock it out! As we say good-bye to our Grade 7 students, we say hello to our new Kindergarten friends who will be joining the Cambridge community very soon. Our Kindergarten team of Becky Weber, Carri McMillan, Raj Taank, Heather Manuel, Julina Benjamin, and Martha Pomonis are excited to meet our new families and friends. Information regarding the start of Kindergarten will be sent to all parents in late August, but we know with such excitement about starting school, parents look forward to any information that will assist in a smooth transition in September. We look forward to meeting you all. Have a great summer! CLICK HERE for a fun look back at the past week at CAMBRIDGE…IN TWEETS! From these hands…look at this beautiful mosaic created by the talented parent and student artists in Mrs. Jennings’ class. 6-First day of school – 10:00-11:00 a.m.
28-Individual and Class photos. This will be the ONLY photo day this year. 29-Assembly/Terry Fox Run – 12:45 p.m.
9-Remembrance Day Assembly – 9:00 a.m.
3-Talent Show – 12:45 p.m.
12-Early dismissal @ 1:30 p.m.
25-Parent Tea – 8:45 a.m.
23-Grade 7 Celebration – 9:00 a.m.
29-Early dismissal @ 1:30 p.m.